American Graffiti tribute rides in Modesto, Petaluma and other American towns are not the only occasions where you can see popular “Yank Tank” models from fifties and sixties. In Cuba these models, colloquially called “maquinas” by the locals, are one of the biggest tourist sights on this island. Although these cars are making this lovely almost paradise looking island even more beautiful they are the symbol of economy and trade violence that US imposed onto this small and peaceful society. Cuban revolutionary regime has also their share of blame in the fact that Cubans instead of driving Jeep Renegade, Ford Taurus or RAM 1500, are driving 1954 Chevrolet 210 Delray, 1955 Buick Century, but also numerous Soviet cars that are really hard to find in Western Hemisphere like: Volga, Lada and Moskvich. There are at least 60,000 “yank tanks” in Cuba. Some automotive experts think that Cubans sit on a real gold mine, when it comes to their old-timer models, since those can be sold to America’s collectors since these cars are worth from $40,000 to $60,000 a piece. 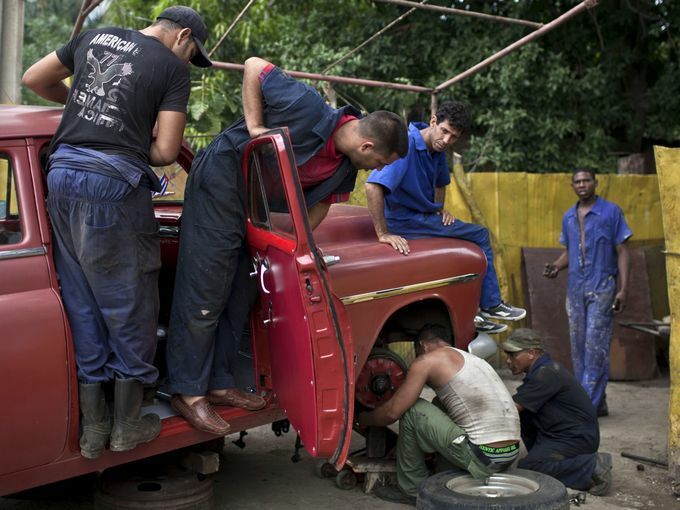 These cars are still rolling, mostly because of ingenious Cuban mechanics who provided them with modified, customized and hand made parts. With a recent announcements by president Barack Obama that might lead to the end of US imposed embargo, can bring few extra bucks to Cuban “yank tank” car owners. On the other hand there’s a law in Cuba that forbids selling Cuban cars to foreign buyers. Cubans are free to sell their cars to other Cubans though. 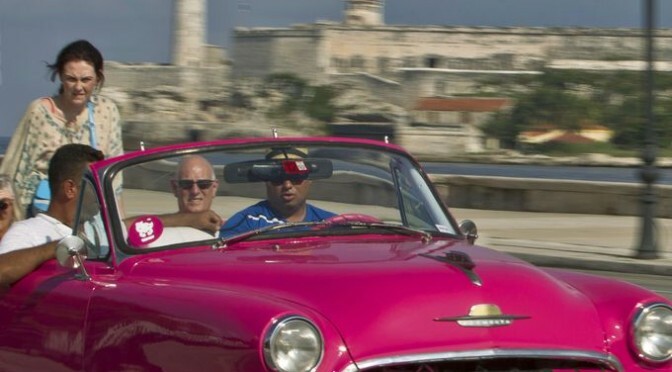 We should also take into consideration the fact that these cars represent the hearth and soul of Cuba, a memory of decades of hard embargo, and the fact that even the most harsh political and economic sanctions in the world, can’t crush the spirit of common people, and their dreams and desires, and above all their freedom, freedom of movement. US collectors think that popular “yank tanks” we see on holiday photos from Cuba are just the tip of the ice berg when it comes to collector’s value. Since Cuba was one of the biggest safe haven’s for American mafioso, businessmen, industrialists etc it had all of the things places like this come with, from casinos and fancy hotels to horse derbies and Gran Prix. 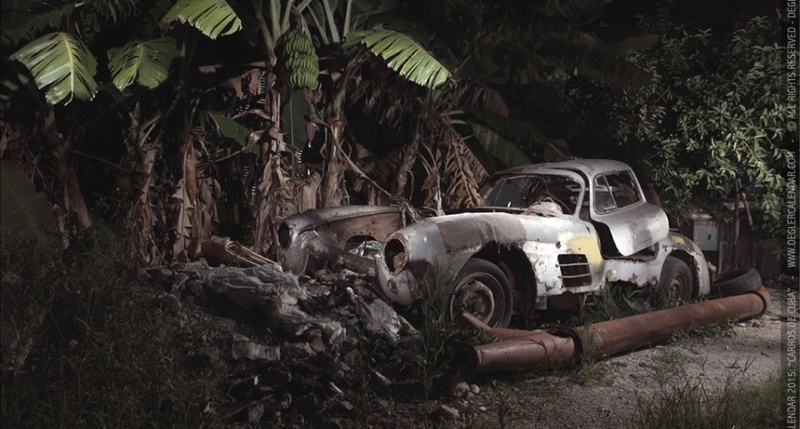 American collectors think that some of the cars that raced on Cuban Gran Prix are still on the island, especially after photographer Piotor Degler took the photo of rooting Mercedes Benz 300 SL, which is one of the most iconic cars of 20th century and is worth well over $1,000,000 on the collector’s market. Who knows how many of these diamonds are hidden somewhere on the island. 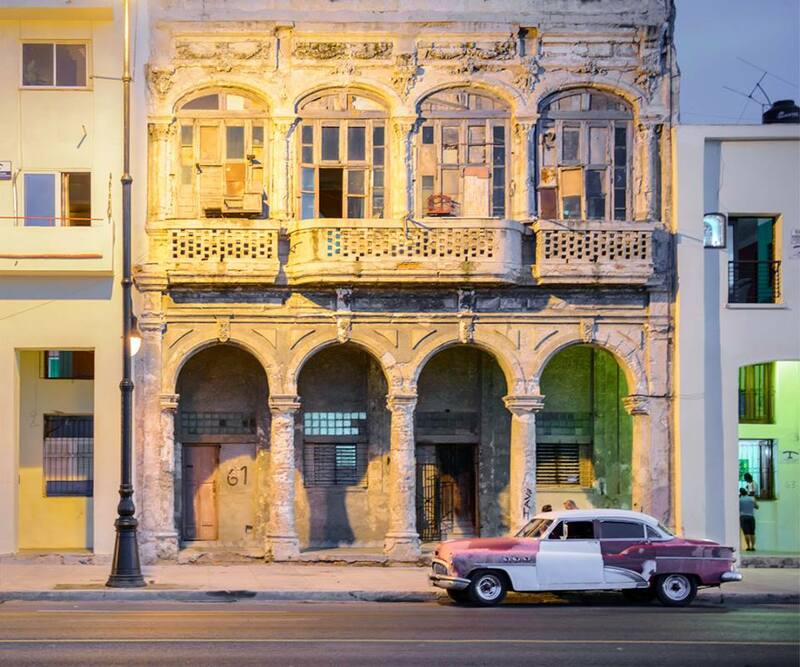 With Cuba emerging from the hardest embargo in history, some of the things that were hard to imagine happening on Cuban streets, especially during a “Special Period” with big energy shortages, are coming back to the island big time. 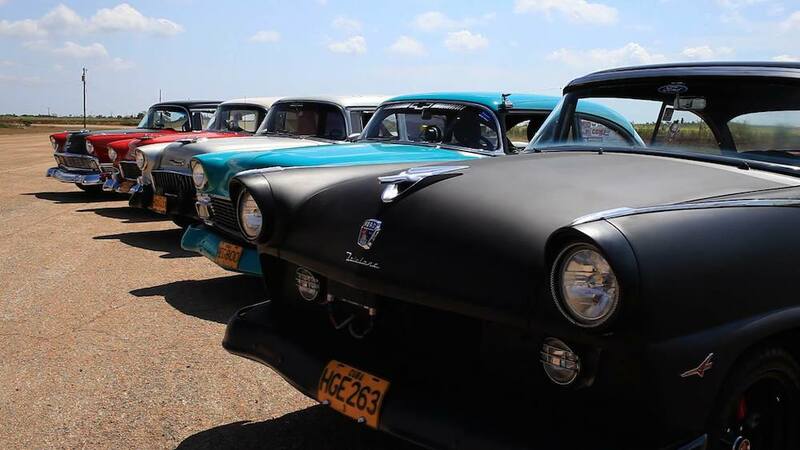 One of these is the first Cuban drag race organized by Havana Motor Club. This is followed by the documentary that’s going to come out in May. 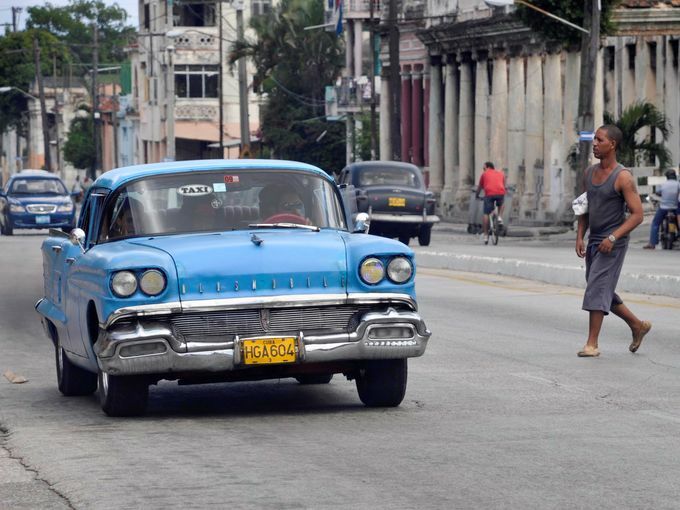 We hope we’ll still going to see these nice old timers on Cuban streets, after more than 50 years long embargo becomes history and Cubans buy their new Toyotas, Nissans and Chevroletes. Old timer’s fleet that big would definitely stir American collector’s market, but to be fair, people who drove these cars for 50 years and did some mechanical wonders under their hoods, deserve nothing less than a shinny “yank tank”.